Sassy Gems by Geri’s sparkling Spinning Top Necklace. 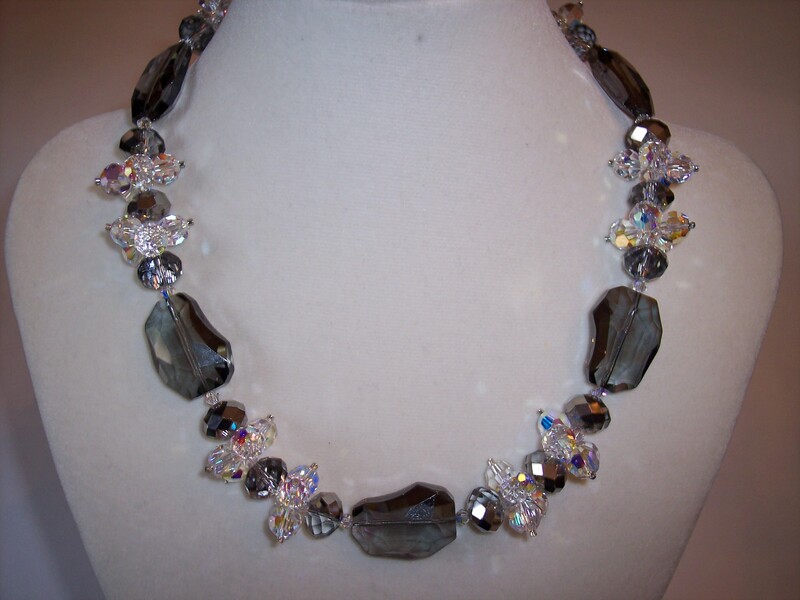 This is handcrafted with clear faceted Swarovski Crystals, facted smoke colored glass rondelles and smoke colored glass nuggets. The clasp is a sterling silver toggle. Visit www.sassygems for more necklace, earring and bracelet styles. Here’s another necklace from my new Struttura Collection. Valentine’s day is just around the corner. 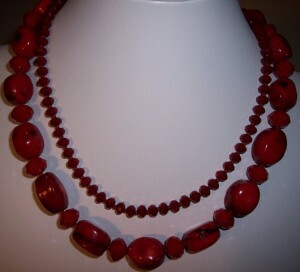 Find something wonderful for that special someone or yourself at www.sassygems.com. Remember free shipping and handling for any size order. Sassy Gems by Geri is announcing the introduction of her new “Struttura” collection. 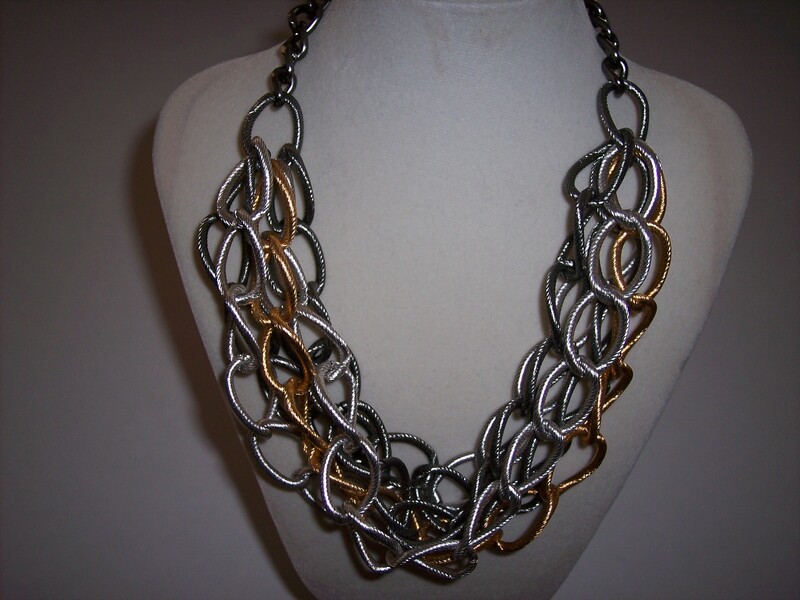 Eclectic jewelry at affordable prices. www.sassygems.com and click on the Struttura link on the front page. In honor of the new line, free shipping and handling on any size order. just an image in my mind gives me a sense of joy and fulfillment that is unmatched. What are you most passionate about when it comes to designing? unique designs.payday loans I am passionate about constantly evolving and growing as a designer. and chance to create one-of-kind pieces. Can you tell us about the themes that run through your jewelry? In the Leonardo Collection you can see/feel an architectural look, a very structured line. What is your favorite design(s), and is this your best seller? piece because of their versatility—they easily transition from day to evening. What do you have planned for future collections? invigorates me and is a catalyst and inspiration for my designs. Michael Kors: I love the fact he designs “wearable” clothes that are affordably priced. I would love to have the ability to develop new gemstone colors and shades. 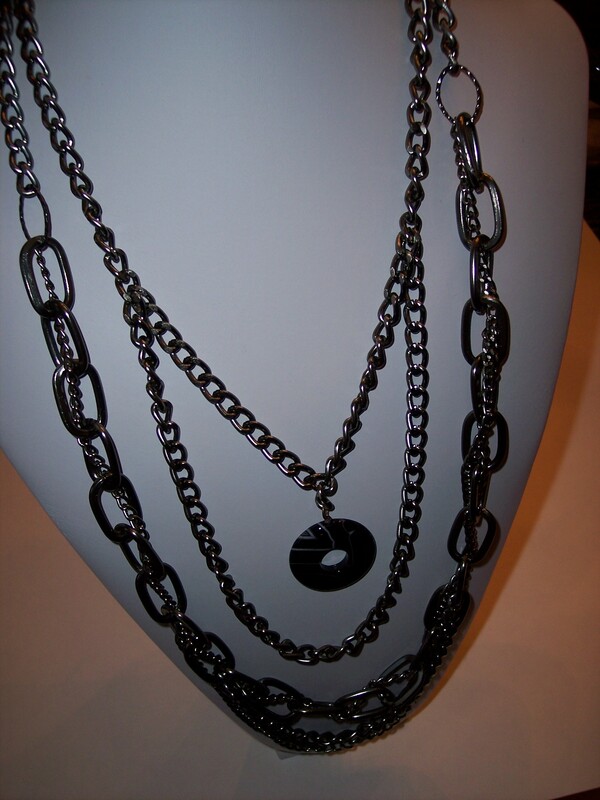 Get three necklaces in one! 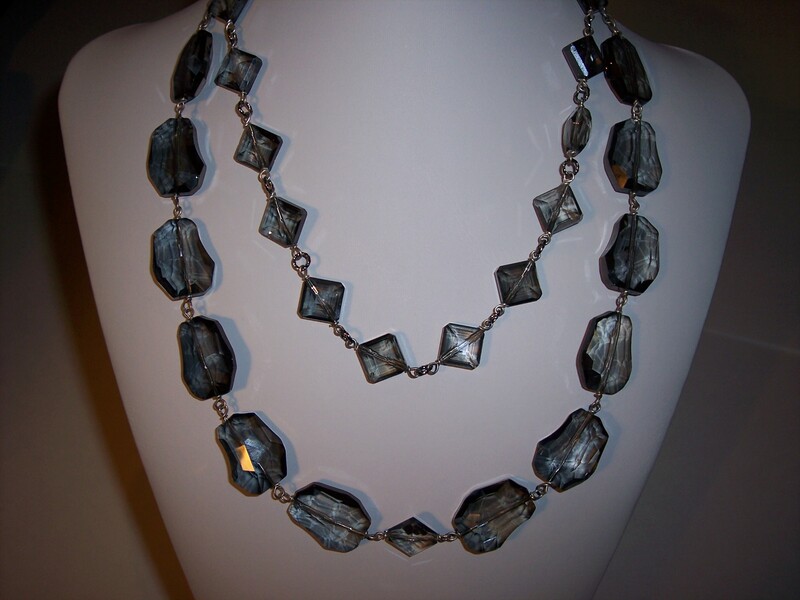 A double strand of diamond and nugget shaped smokey glass tied wired with antique aluminum wire. Detach the clasp and wear each piece separately. Or remove one of the necklaces and stack it with another necklace from your jewelry collection. Sassy Gems by Geri, LLC: A double pop of color: this Sassy Gems piece is handcrafted with ruby jade stones and bamboo coral barrels. Visit: www.sassygems.com to see more new designs. Sassy Gems by Geri will be at “Highpoint Jeweler’s & Fine Gifts” located in High Point, NC on 800 Main Street this Saturday December 3rd from 11:00 AM until 2:00 PM. The Event: Meet the Designer Trunk Show. Come see some of my new “Leonardo Signature Collection” designs, along with many trendy fashion jewelry pieces which are part of her new “G Collection”. Items will be available for sale and custom orders. Hello Everyone. For those of you in the Greensboro/High Point/Winston Salem area, Sassy Gems by Geri will be exhibiting again at the Carolina Christmas Bazaar. It is held at the Wesley Memorial United Methodist Church, Saturday, November 19th. The hours are 8 am til 3 pm. Location: 1225 Chestnut Drive, High Point 336-884-2204. Come early, the lines begin at 7:30 am. There is a great selection of arts and crafts, candy, handcrafted pillows, etc. Hope to see you there. This was an especially exciting show, full of anticipation. Why you ask, because we took the leap and doubled the size of our exhibit. The opportunity presented itself and so we said: Let’s do it. We were very fortunate; this was our best show yet. Thanks to all our returning loyal clients and we welcomed many new clients. In fact, early in the week we sold out of many of our one of kind designs and our ever popular: Leonardo Signature Collection. Our customers loved some of the new designs added to the Collection. Thank you for the positive feedback. We always enjoy the Furniture Market; it is a wonderful opportunity to reconnect with friends and fellow exhibitors. It’s so much fun to see our returning clients and catch up. We are busily working on many fun and interesting pieces for the Fall Show. So if you can, come see us: Suites at Market Square, M-8002, and High Point, North Carolina.